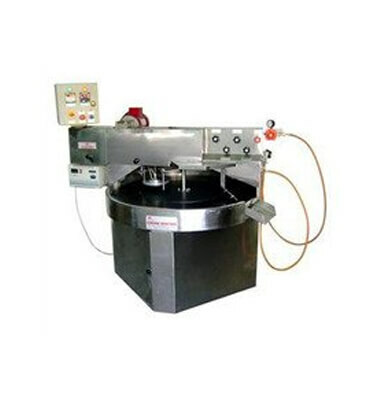 Semi Automatic Chapati Making Machine Manufacturer/Supplier in India, Semi Automatic Chapati Making Machine in India. Our organization is involved in production of Semi Automatic Chapati Making Machine in India. This Semi Automatic Chapati Making Machine in India is equipped with excellent quality components and is used for preparation of delicious chapattis. This is tested for its quality by reputed quality controllers and is resistant to abrasion. This Semi Automatic Chapati Making Machine in India has solid body and consumes least amount of electricity.